Christmas is a great time to have fun with the whole family and that includes our pets! No matter what your plans are for the festive season, it’s important to involve your pets in the Christmas celebrations to ensure they have a memorable holiday as well! This has to be one of our favourite ideas! Ask a friend to be your photographer (or hire one if you like!) and take a family portrait with all your of furry friends. Add a Santa hat to the top of your dog’s head or tie a cute (but loose) red bow around your cat. Have one of your family members hold the animals and smile! There are plenty of Christmas themed holiday outfits or cute accessories you can put on your animals to get them in the holiday mood! A Christmas sweater (if the weather isn’t too hot) is a great idea, or you could even tie a red, gold or green ribbon around their neck (just make sure it is loose enough). If you want your own mini Santa Claus (or Santa Paws), a Santa Hat looks great on dogs, just purchase a kid-sized hat for smaller animals. Another fun idea is to dress your animals up as a present by decorating a red or green t-shirt with ribbons and glitter. Make sure you cut a big enough hole on the neck and the arms so it is not too tight. Gifts shouldn’t just be for humans! Pets are part of your family too so treat them to a special gift you know they will just love. Get a stocking or wrap up a few presents and place them under the tree for you to open with them on Christmas morning. Gift ideas could be toys, treats or snacks or even a new outfit! If you want to, you can splurge on something big that your pet needs or ‘wants’, like a new kennel or comfortable bed to welcome the New Year in. A huge part of the Christmas season is sharing delicious food with family and friends. Include your pets in this tradition by cooking up some pet friendly treats they will be thrilled to eat. Cheesy bites, tuna treats or cookies are fun options, so they can feast while you do too! Make sure you cook animal friendly recipes to ensure you don’t feed them anything they shouldn’t be eating. Preheat oven to 180 degrees. Combine all ingredients into a bowl and mix together thoroughly. Roll into small balls and place on the baking paper. Press one finger down the centre to slightly flatten. Bake for 7 minutes or until golden brown. You may need to flip the treats to ensure they are cooked throughout. Remove from oven and let the treats cool. Once cool, break any larger pieces into a bite-sized pieces and serve to your cat. These cookies last when stored in airtight container in refrigerator for a few more treats throughout the Christmas period! 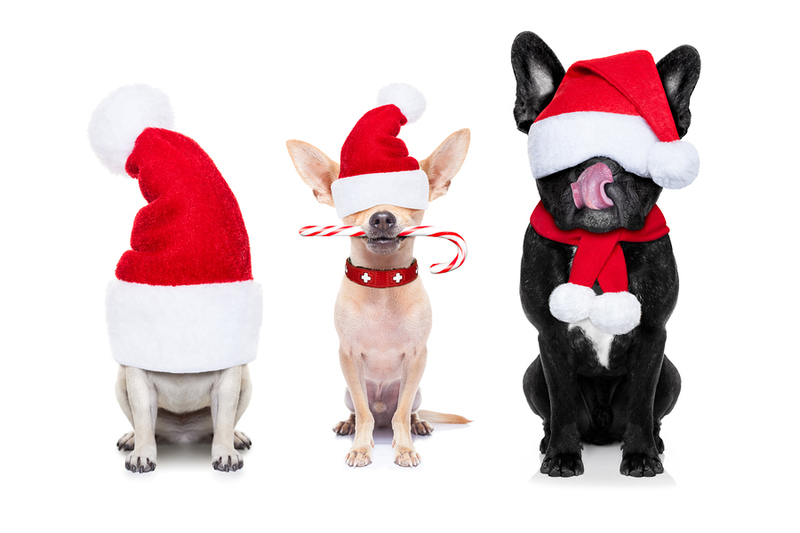 Do you have any holiday or Christmas traditions that involve your pets? Pop over to our Facebook page and let us know!